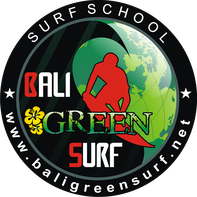 Our surf lessons are including 2,5 hours of surfing, pick-up and drop-off, all the equipment as well as refreshments. If you live outside Canggu, Kerobokan, Seminyak, Legian or Kuta we will have to charge you 50.000 IDR extra for the transport. The payment is made at our office in cash, all currencies with the actual exchange rate are accepted. Unfortunately, it is not possible to pay with a credit card. * 25% off all group and private lessons in March if you book directly through our website or email. No agents.